Find information about Credit/Debit and Prepaid cards starting from BIN number 437743. 437743 BIN/IIN number is issued by UNITED BANK, LTD. and it's a VISA card and the country of issuing bank is Pakistan. What is a BIN Number? The first 6 digit of a card is known as BIN Number. BIN stands for Bank Identification Number. It's a 6 digit code which identifies the financial institution that issued the Card to the card holder. It also referred as IIN (Issuer Identification Number). BIN can be used to identify issuing financial institution of a Credit Card, Debit Card, Prepaid Card and rewards Card. As per ISO/IEC 7812, the length of Credit & Debit Card number can be upto 19 digits. S - Checksum to validate Card Number. Where PQQQQQ combined are known as BIN number or IIN code. 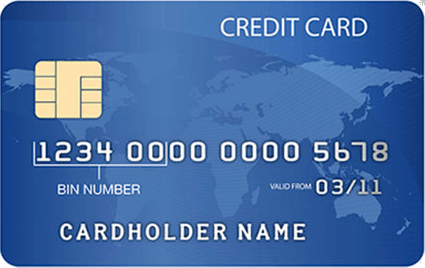 It is commonly used by merchants to identify the card type and issuing bank of the Credit Card. It also helps in preventing Fraud. In case the Billing Address and the issuing country of the card is different, it may be a fraudulent transaction. With BIN search they can easily identify such transactions. Disclaimer : All the data and information provided on this page is for informative purposes only. However BinCheck.org assumes no responsiblity for any loss or damage from the use of the website.